Longtime South Bay dentist Steve Guidone, DDS invites you to visit the new state-of-the-art office in El Segundo CA. 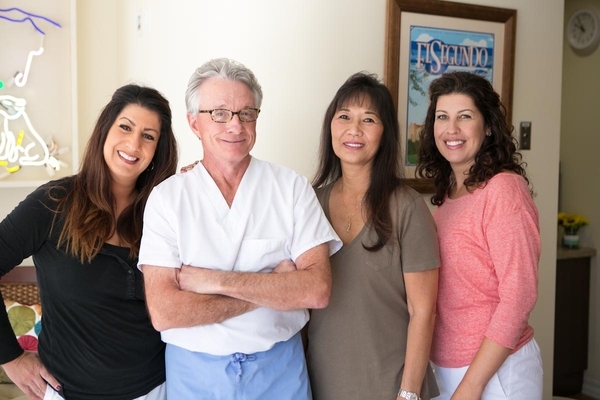 After the Manhattan Beach fire, Guidone and his long-time staff has risen to welcome long-time patients and new ones with the care they've enjoyed for over 30 years. The new office is at 425 Main Street with plenty of free, non-metered parking in a fabulous neighborhood. extractions and complete teeth cleaning. He's also a pretty special guitarist--click the link below for a sampling! El Segundo, California Dentist, Dr. Steve Guidone is dedicated to cosmetic dentistry such as Exams, Teeth Whitening, Veneers and more.